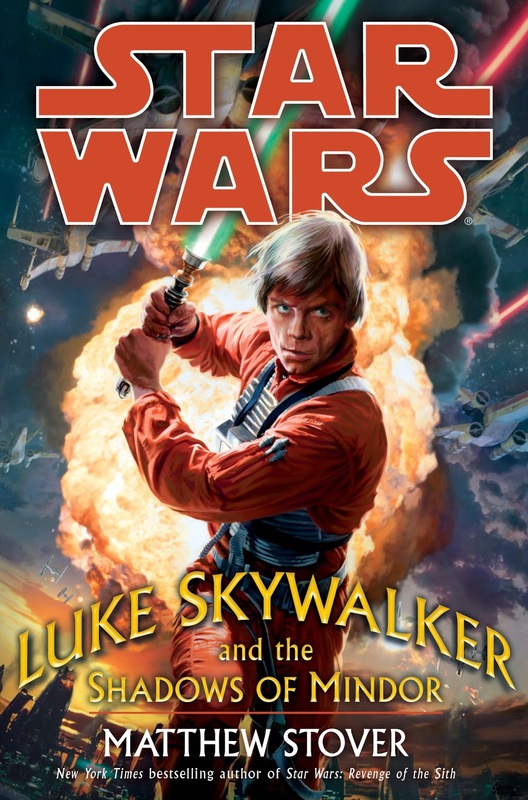 Continuing along the Star Wars Legends timeline, the next novel is Luke Skywalker and the Shadows of Mindor. It's actually kind of a weird book in the timeline, it was published in 2008 but all the other books that happen around this point in the timeline were written in the mid-1990s. It's definitely shoe-horned into the timeline after the fact. Because of this, it doesn't contain anything that has a large impact on the surrounding novels. It's a decent book, but it's not great. It's definitely doesn't contain key events in the overall Star Wars Legends timeline. It's another story of Luke Skywalker's coming to grips with his Jedi powers in the New Republic. He starts investigating an imperial remnant faction that is being controlled by someone with Force powers. Slowly, all our other Star Wars heroes get involved until Han, Leia, Chewie, Lando, R2D2, and C3PO are all there as well. It's a fun little story, but it's also easily skippable. This is one of the Legends books that I never read the first time around and I never felt like I missed anything of importance. So, while I liked the book, I recommend steering clear of it unless you're a Star Wars die hard fan. There are better Star Wars books out there... and we're almost to them in the timeline!